Choosing the right heating unit for your home is one of the biggest decisions that you’ll have to make when purchasing an HVAC system, but the installation is every bit as important as the quality of your new unit. As a job that is best left to the professionals, heater installation in Northern California is expertly handled by the skilled team at Deluxe Air. As a NATE-certified company, our heating installers know what it takes to get your new heating unit installed quickly—while providing results that go above and beyond manufacturer and code requirements. * Affordably Priced: Getting a new heating unit installed in your home can be a big expense, but we can make the process more affordable with our competitive pricing and flexible financing options. 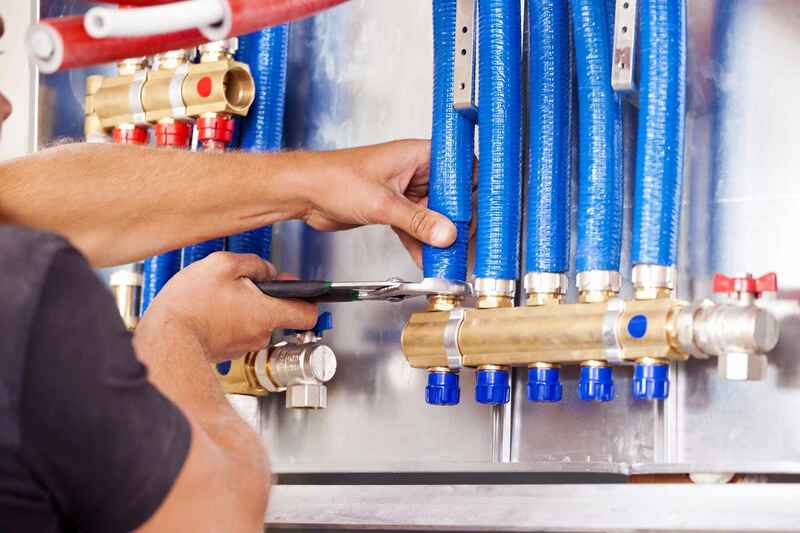 * Expertly Performed: Our skilled heating unit installers can handle the end-to-end installation of your heating system, with services for furnaces, heat pumps, ductwork, thermostats, and attic insulation. * Respectful and Professional: At Deluxe Air, we offer a five star experience you can feel by providing replacement heater installation services that are built around your needs—and handled with the utmost care. You need the ideal combination of high-quality heating units and expert installation service to get the most out of your HVAC investment, and you’ll find the best of both worlds with the heating professionals at Deluxe Air, Call today to request a free quote for your heating services, or fill out our online form now to request more information on our installations! We offer the innovative products and services you need to have an exceptional heating replacement experience. Not all replacement heaters are created equal, and when it comes to HVAC systems, every home has its own unique needs and set-up. Since 2009, Deluxe Air, has been providing Northern California residents with high-performance heaters and guaranteed replacement services. * Custom Configurations: Whether want a solution for zoned temperature control, need to pair a heat pump with a furnace, or have in-floor heating or radiators, we offer heating units designed around your household’s needs. * Exceptional Energy Ratings: All of the furnaces, Heat pumps, and other replacement heating units that we offer are built to deliver incredible efficiency in even the coldest months of the year, with the highest energy ratings up to 98%. * Noise-Free Operation: Nobody wants to listen to the loud hum of a furnace in a closed-up home, but our High quality systems provide quiet, hassle-free operation to ensure a peaceful home interior. Sign-Up Today for a Free Heating Replacement Estimate in Northern California! Whether your heating unit has broken down in the middle of winter, or you want to upgrade to a high-efficiency system before the cold weather starts, count on Deluxe Air, to provide the products, services, and value you need. Call today to learn more about our home heating solutions in Northern California, or fill out our online form to easily request your free, no-obligation estimate!